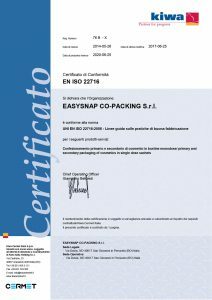 Our certifications, for your quality and your safety. In line with its development policy, the Management of Easysnap Co-packing standardizes the operating procedures through the verification of third party institutions against the requirements set internationally. 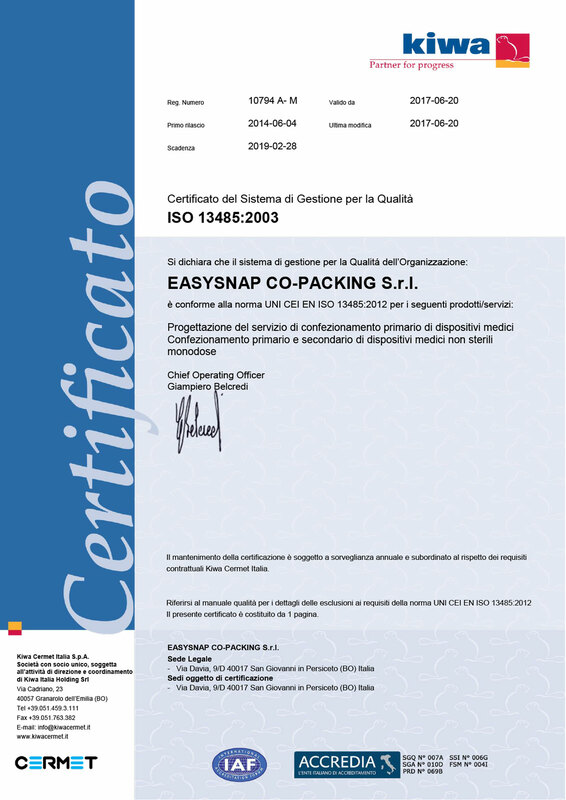 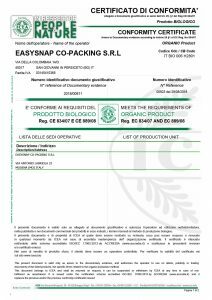 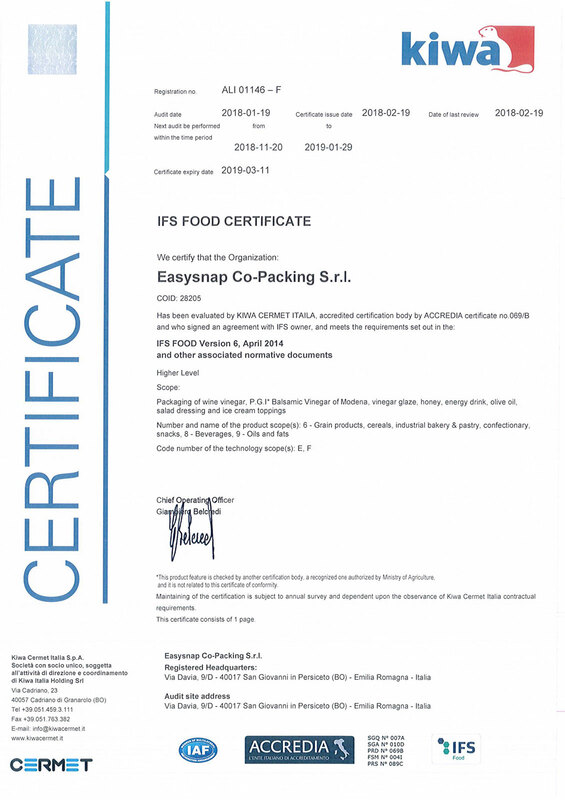 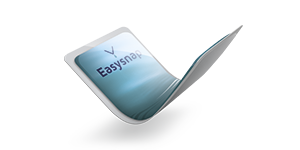 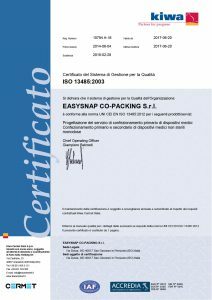 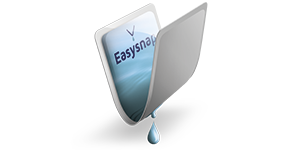 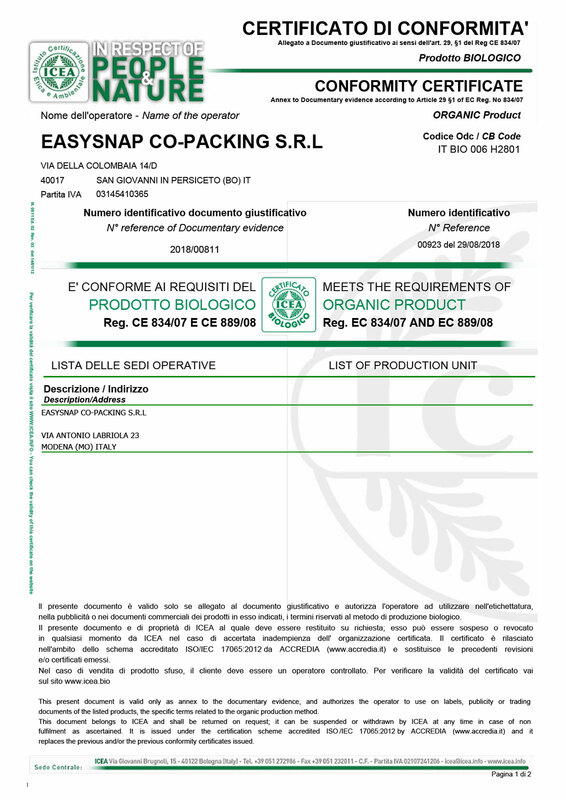 The Management System of Easysnap Co-packing ensures that all production stages take place in full compliance with the standards of Community and national control both mandatory and voluntary, for the safety aspects of the product. 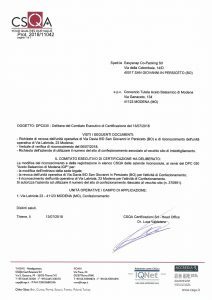 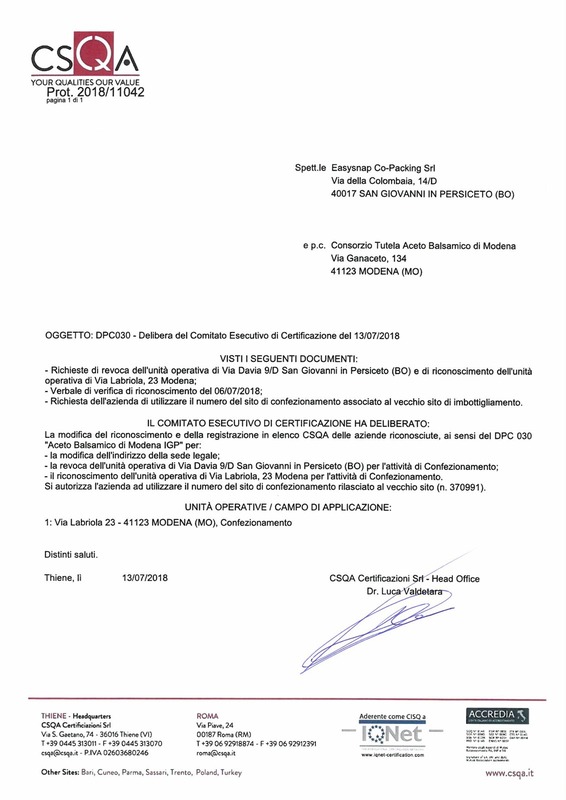 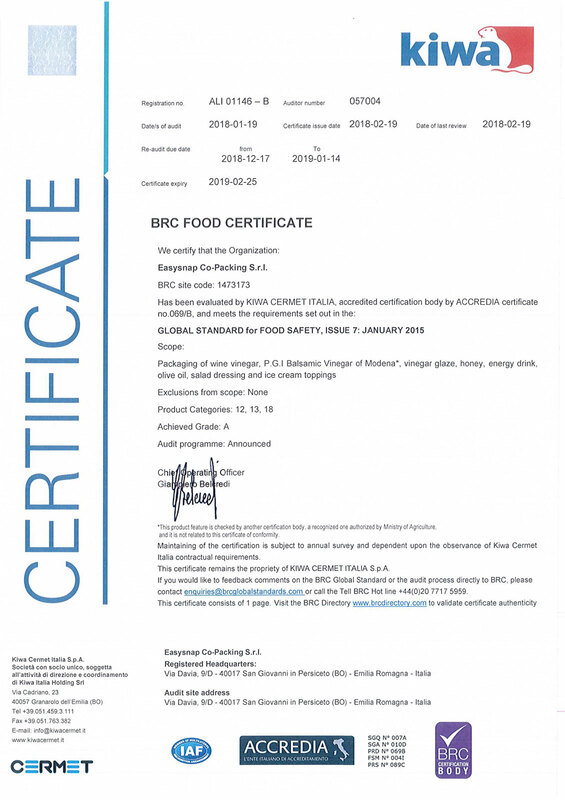 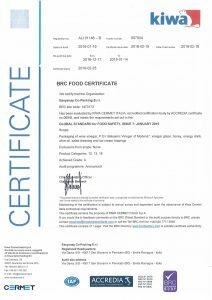 The compliance and the adequacy of this system is attested by the important certifications obtained in accordance with the principles of the quality (UNI CEI EN ISO 13485-2012), and the food security (IFS, BRC), international. 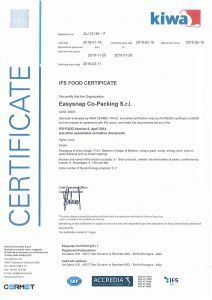 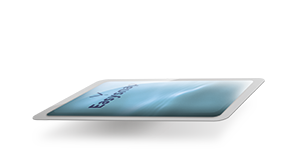 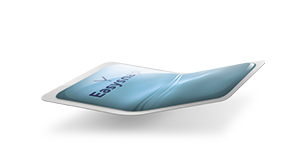 Let us improve your packaging with Easysnap?